Just like all machines, HVAC equipment sometimes breaks down. When it does, Shackelford is here to assist. Our technicians are available 24/7 for repairs that just can’t wait until morning and will happily schedule appointments convenient to your schedule for those that can. 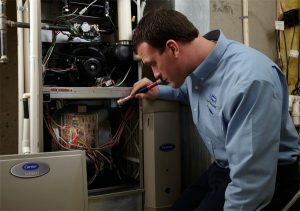 When you call on us for HVAC repairs, our experienced service technicians will work efficiently to identify the problem and get your system up and running again as quickly as possible. Since our technicians travel in well-stocked vans, many repairs can be completed in a single appointment.